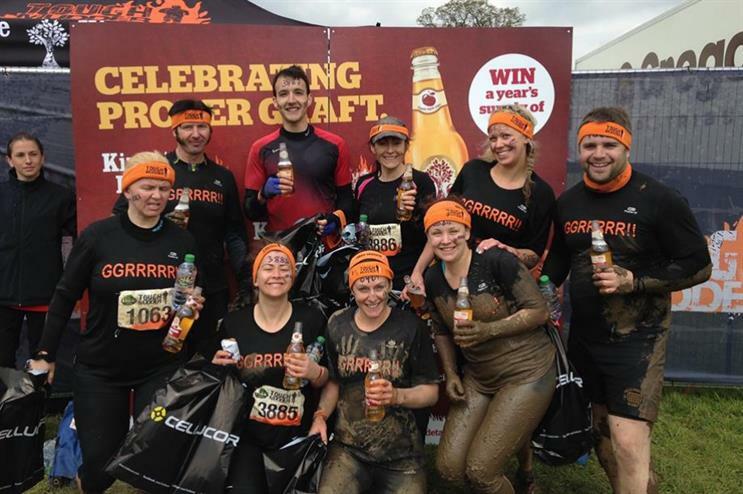 Aston Manor Cider's flagship cider brand, Kingstone Press has formed a partnership with Tough Mudder, which will see it activate at each of the eight UK events in 2015. As the official finishers’ cider for the Tough Mudder UK obstacle events, Kingstone Press will provide those who complete the course with a complimentary bottle of chilled cider. Agency Banana Kick is working with Kingstone Press to execute its experiential activation programme. The first Tough Mudder event of the year, which took place at Henley-on Thames on 2-3 May, included a branded tent complete with chilled cider and a Kingstone Press photo board. On the day, more than 19,000 bottles of the cider were distributed to participants at the end of the course. The agency also devised a social media campaign, where those who ‘Snapped and Shared’ their photos could go in the draw to win a year’s supply of cider. Justin Way, marketing controller at Kingstone Press said: "As the official cider and finisher drink of Tough Mudder, we’re proud to be delivering proper refreshment when it’s needed to more than 100,000 participants in this year’s UK series of events. "After battling through more than 10 miles of the incredibly tough obstacle challenge, we’ll be on hand to reward proper graft, teamwork and sheer determination the best way we know how, with Kingstone Press delivering total cider refreshment." Sarah Harvey, senior vice president at Tough Mudder International, added: "We’re delighted to be teaming up with Aston Manor Cider and Kingstone Press. We can think of no better reward for those who cross the finishing line than a refreshing drink of Kingstone Press."